Looking to build a pipeline of qualified workers? Start by building a strong relationship with your local school system. Dream It. Do It. 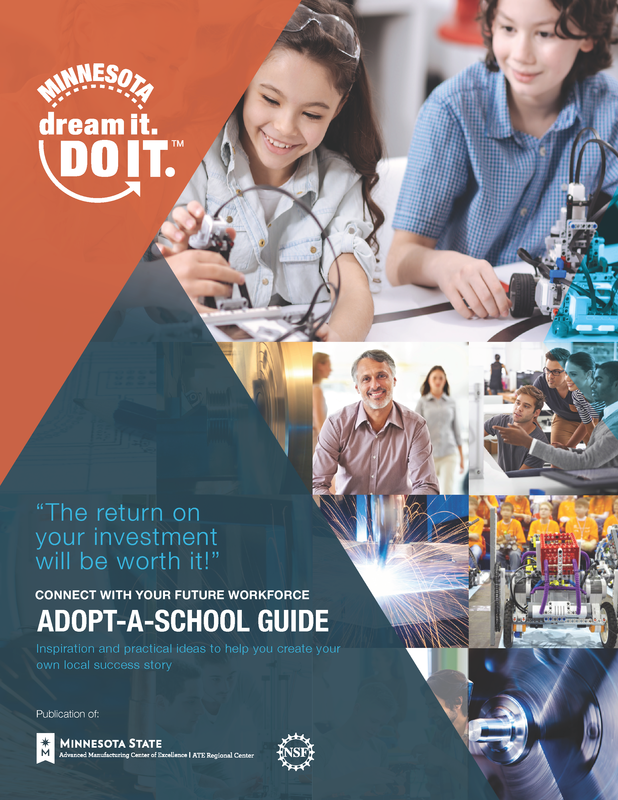 Minnesota has developed “Adopt-A-School Guide,” a tool that provides guidance on working with your local school system to improve student outcomes and decrease manufacturing labor shortages. The guide contains many best practices which have proven successful in Minnesota and throughout the United States! Download a copy by filling out the form below or contact Jaimee Meyer at 218-755-2206 or jmeyer@bemidjistate.edu to have a copy mailed to you. To get immediate access to the Adopt-A-School Guide, type in your information and click “Get the Guide”. After completing the form, you will see a page with a button to “Access the Adopt-A-School Guide.” Click there to access the PDF.